Massive lessons this week about how much we really do create our own reality. The teacher/student in me wishes to share my very practical lesson, perhaps it can help. Herve and I had a big worldly lesson about being naive and overly trusting (around a US Craigslist house rental ad) Fortunately we lost no money so managed to learn the ‘preparation for America’ lesson without too much material consequence. However, what I did notice is how easily and quickly my mind moved into a state of anger and suspicion and fear about my future. I had allowed myself to get attached to my ego and off I went! Suddenly I recalled all my past bad experiences and started the fear trap of illusion. Here is where my real lesson occurred! I slipped into an alternative universe that reflected perfectly my fear and suspicion. Suddenly my neighbours started fighting, I saw a shopkeeper taking photographs of a man she suspected of stealing (more arguments), people on the roads were more aggressive out of nowhere, and just in general people were rude, incompetent or annoying. Fortunately for me I have a great Guidance team who always help me to learn my lessons quickly and I’m a quick learner 🙂 so this all only lasted a day. But what a day!! Urghh! I also have an incredible husband and great friends/ healers around me who assisted me to verbally share my experiences si I could work out what was happening and then help me realign to a state of reassuring calm, peace and love. Now everything has returned to normal as I breathe in more and more love and express gratitude for the teachings. A great big neon signpost showing me in a way I will never forget that our thoughts are reflected externally as if we have a big circular mirror that surrounds us at all times… facing inwards! (I put an exclamation mark there as I used to visualise an outward facing mirror of protection before I learned about how energy flows). Literally everything and everyone allows us to ‘see’ and experience in a tangible way what we are feeling and thinking inside. It ‘brings into life’ in ways that assist our growth: we may experience what we judge or what we envy or what we fear. To help us to recognise these hidden parts of ourself. What a precious gift life gives us, we truly are Creators on ALL levels. I knew this mentally before but this week I got to witness it in all its glory like I was sitting in the classroom of a Master. In the past, these reflections came back to us more slowly so we sometimes did not realise it was a consequence of our own own creative abilities. But in this NOW, things happen quicker. We see an almost immediate reflection of our internal mental and emotional states. Know that just as when we allow ourselves to be triggered by events that shift us into fear based negative thinking, we can also shift our focus to more forgiveness and acceptance … which will likewise be reflected back to us. Be mindful of your thoughts and reactions. Realise how much we are One, the world is reflecting back all that you energetically create so create the life you want to exist in! Make considered choices (in ALL areas of your life) and take responsibility for them. Release all fear and feelings of having no control or being seperate. Experience Oneness. Expand into Love. This is not being naive or simplistic: this is being a Master Creative Force. Times are changing. We are all feeling it. Many people are feeling their life changing at this time: how we used to define ourselves is no longer relevant, what was familiar and comfortable, no longer fits. It’s a challenging time of surrendering to the void, to the “I don’t know” and letting go of everything that no longer serves you. This change, that can be very chaotic, is necessary in these times of great transition. Try not see it with fear but rather with compassion for yourself and the enormous growth you are experiencing. The key is to surrender to that space of not holding any definitions of yourself at all. No “I am….this or that” …just being. And if you allow yourself to enter into that space and stop trying so desperately to grab and cling and distract and fill and remake the crumbling tower…then you will finally find the silence and peace of being empty. And then …something can be born out of the ashes of what you have released. Because now there is space and the universe will always fill a void. You have the opportunity to become whole. Let yourself be gently pulled towards what your soul wishes to express. Do not try to define it or capture it in words…simply let it be free to coil like tendrils into the creative force of life. You are the Creative force of Life. Mary Magdalene is very ‘present’ now as it is time to embody the power and wisdom of the Divine Feminine/ daughter Sophia, and express this in our everyday lives. This is not to downplay the glory of the masculine, but rather to lift both up to the status of divine grace. This means owning your minds, your bodies and your hearts in their true, authentic nature, whatever that may be. A unique expression of life unruled by social norms and expectations, either by your families or other women or men or by your culture or even your own limitations on what you allow yourself to be. Ultimately it means taking responsibility for all that we are and all that we create. The ‘story’ of Mary Magdalene has been greatly changed to suit the theology of whoever has relayed it, edited it, confused it or simply excluded it. In essence she portrayed the divine concept of unconditional Love and acceptance and dedication. Her loyalty and willingness to be humbled by the divinity of her beloved are great lessons for all of us. The initiation of her passion for Christ, washing his feet with her ointments and tears, was her surrendering to her soul’s desires and releasing the ego. However in the bigger scheme of things she played out the divine Sophia energy whereby she exalted her earthly passions and desires into divine spiritual perfection. She has come forward again to assist us on our own unique journeys to control our passions and desires and lift them to the GREAT DIVINE LOVE OF ALL. Not just our family and friends but everyone and everything we share this world with: our animal friends and all the sentient beings in nature…to know, understand and love ALL of nature: our own nature and the Mother around us who gave us our life. For a long time woman have experienced being told who they are and what they could and could not do, but rather than resist, we are being asked at this time to create anew, unlike anything that has come before in any time or space. To forge a new path of our own.We are all people in a collective consciousness but we are also unique beings of Light. What is your unique presence? Allow the magdalene energy to flow through you once more. How does it want to be expressed in this NOW? 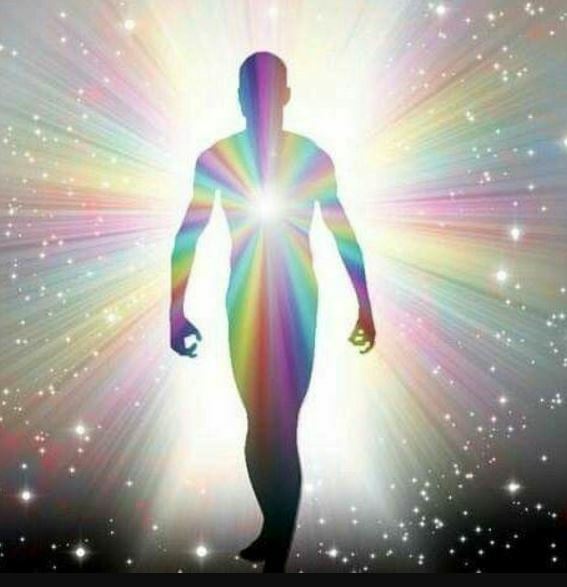 “The most beautiful spiritual practice that I can share with you and which we encourage on the inner planes 8th Ray of Light is to become familiar with whom you are in each given moment, without judgment or expectation. It is a sacred and loving acceptance of all that you are, which offers an in-depth insight into the ascension process your soul is moving through. Your soul is currently exploring expansion. The first stage of cleansing your soul is currently experiencing is the process of releasing, receiving and embodying the space of the Creator. This is a very beautiful process because your soul is releasing and letting go of many energies, perceptions, wounds, patterns and limitations that it has carried through many a lifetime. This process of release takes place through your soul expanding its energy at an earthly physical level and a spiritual inner planes level. It is a great moment of celebration, your soul is ready and feels safe to magnify and multiply its energy, thus enhancing its power. As your soul expands releasing and letting go of unneeded energies so its vibration quickens and an experience of liberation dawns. Your soul is free to exist without limitations, merging more fully with all aspects of your being, Mother Earth an d the earthly reality while also exploring the Universe of the Creator. Remember that you are the Creator therefore you fill and exist within everything. Your soul is exploring its connection with all that is the Creator and embodying the truth of the Creator. This is extremely invigorating, activating and pleasurable for your soul because your soul is journeying through remembrance of all that it is as an expression of the Creator. “Consciousness is the directing force. Matter and mind simply do not come out of a simplified evolutionary material realm, but mind and matter come out of the consciousness realm, that links us with the much greater evolutionary possibility of creation. We see it in all its various form, appearing now on our doorstep. Humans perceive a relatively limited range of colours because we have just 3 cones in our eyes that are sensitive to visible light which lies in a very small region of the electromagnetic spectrum of 400 – 700 nanometers (nm) and a colour range of red through to violet. Fun fact: dogs have 2 cones, butterflies have 5 cones and mantis shrimp have 12…makes you wonder what they are seeing, doesn’t it?! Now everything is energy. Even science is discovering this and everything can be measured on scales of vibration and frequency. Everything that IS has a particular vibrational frequency: all actions, all words, all thoughts, all things,…even people, animals, and objects. Sounds have vibrational frequency and so does colour. But all things are MIND. If you close your eyes, you can bring any colour in to your mind. You start to ‘see/feel’ the colour with your mind’s eye (or 3rd eye). Additionally, as we evolve, we can perceive more and more of the LIGHT spectrum. 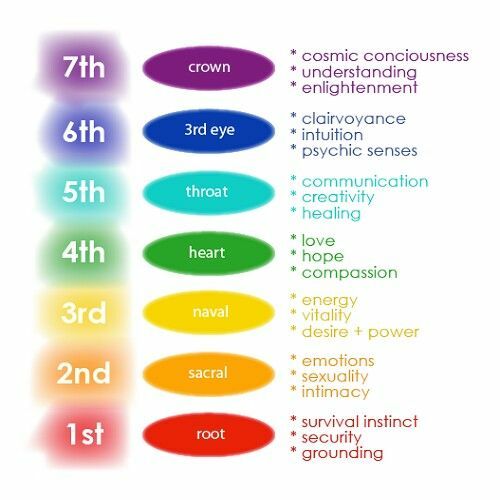 When we visualise a particular colour, we effortlessly and easily align ourselves with the vibrational frequency of that colour. You can use this for healing that area of your life (focused through the correlating chakra). Intention, as always, is the key. Shakti: the very essence of Divine Creative Energy. The Divine Feminine energy encapsulate and manifests THE Creation life force. When we allow this life force energy to flow, we move into a better state of health, vitality, receptivity and creativity. This is a very personal healing journey (centred around the sacral chakra) that many women are experiencing at this time. Reclaiming the Goddess within is sacred work! For when the divine feminine and divine masculine energy come together in equality, we create a sacred union and become whole. We hold both energies within and thus this process happens within each person! but is also symbolically expressed between persons. We all hold aspects of the Divine Feminine within and thus we are able to call in and hold the qualities of love, beauty, acceptance, receptivity, gentleness, nurturing kindness, intuition, priestess devotion and insight and the stored memory of the ages. When we are able to bring these gifts into a sacred union with our Divine Masculine energies of order, form, organisation, action, confidence and assertiveness, we are able to manifest our whole Truth. This sacred union gives birth to a new positive energy which can find positive expression in the world. We can see all kinds of dysfunction in our world when we lack balance within. On a daily basis, we allow, accept and even perpetuate many myths, negative imagery and limiting beliefs about the female sexual energy and the female form. This disrespect towards women and the feminine energies has also resulted in widespread rejection of the wisdom of the heart, gentleness and the healing arts…now finally starting to change. There are many, many ways women are taught to feel guilt and shame for their own powerful form and sexual energy. The female sexual energy is often seen as a source of power that needs to be harnessed, controlled, hidden, ‘fixed up’ or suppressed in one form or another. these are some examples I can think of.. The female form is overly distributed in it’s naked form so as to desensitise and cheapen it’s beauty. To make it seem trashy and ‘easy’ and objectified for pleasurable gratification. Pornification of the female from and sexual union. Societies may force the submission of the feminine power by demanding it be hidden in some way through overt or discreet dress codes, enforced through disapproval and judgement. Women can be banned from certain areas due to her ‘uncleanliness’ or ability to distract. Western mythology has attached female sexuality to Original Sin (Eve). This shame can run very deep within the psyche and cause confusion around the archetypal roles of the Mother/Madonna/dove and the prostitute/whore/snake, particularly when women become mothers. Some women (and some men in certain industries) feel that the natural female form is not perfect just as it is and needs some form of adjustment, either surgical or structural. Women can feel the pressure for the push up bra, high heels or even cosmetic surgery to enhance the ideal shape or remove the imperfections. To become more aware of how we are personally giving away your own feminine energy and power is a good first step. To observe how we are not owning our Truth and power. We are all energy connected to ALL. When we allow your own perceptions of our human sexuality to shift in a more positive way and step into our own sexual expression, we affect the consciousness of the whole human collective. Healing our wounds and moving forward into Grace and Honour of who and what we truly are: Creative beings. You are a Life Force of Divine feminine creative energy! Express it. …in your own unique way! You’ve learned many things over the last few years! You’ve been to classes, read inspiring posts and informative books, watched videos and gained A LOT of knowledge about what you are interested in. You’ve had a lot of thoughts and encouragement about changing that ‘stuff’ (friendships, job, location, habits etc) that just doesn’t feel right any more. You’ve been through A LOT and come through the other side, stronger, wiser and knowing more about yourself and what you are capable of. In 2018…it’s time to start applying all this knowledge.